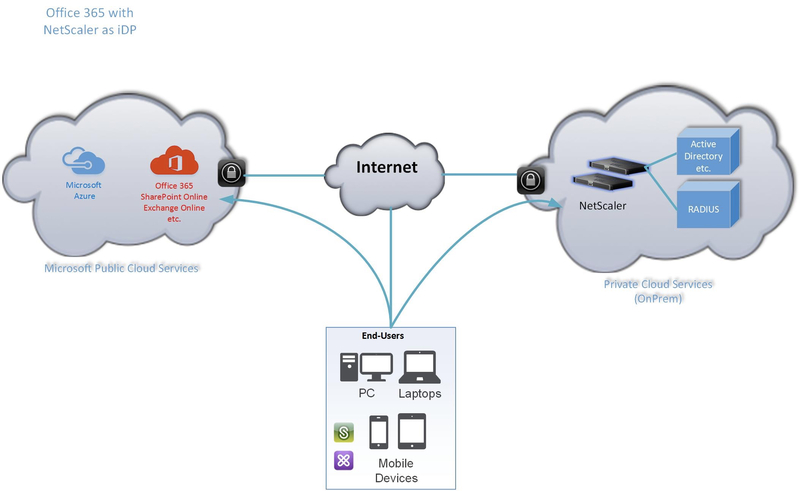 An alternative to using Microsoft ADFS (Active Directory Federation Services) as Identity Provider for accessing Office 365 cloud services, could be to use a pair of NetScaler Appliances.From a security point of view NetScaler is a great option for functioning as an authentication point. There are a few how to guides out there that provides guideline for setting up NetScaler as an Identity Provider for Office 365. But I will document the steps that worked for me. The SAML assertion is provided from the client to Microsoft O365 and the user is now logged in. 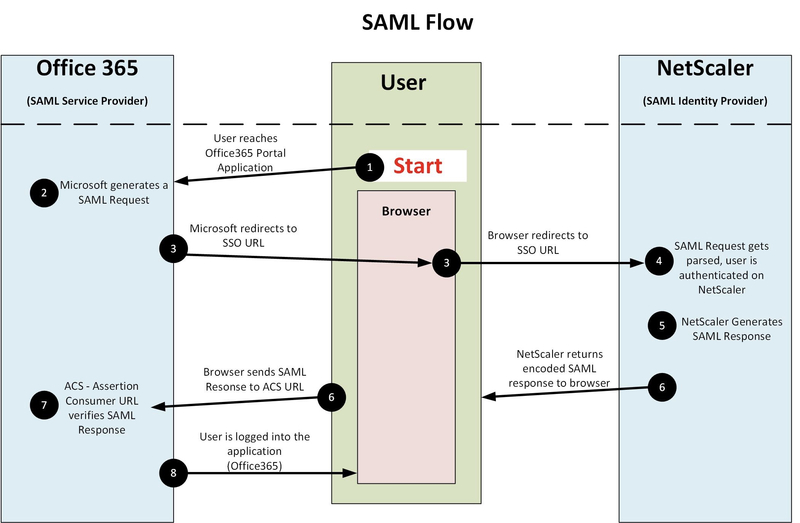 All SAML redirects happens in the client browser, unless using Artifact SAML Binding. This guide uses POST Binding for SAML. Following PowerShell commands needs to be run from eg. the domain member where AD Sync intiates from and where Azure AD Modules are installed. Remember to adjust configuration input accordingly, and always test before configuring in Production environment.